Surprisingly, there are still many windmills around the world. An old style of technology, used for grinding grain or pumping water, this use of wind energy has been replaced by more modern and more efficient structures. Now, windmills mostly serve as a curiosity, a look back to a simpler time. It is heartwarming to see these structures, many of which still work, because it shows that mankind continues to preserve its legacies and its historical artifacts. We have gone out of our way on several trips to incorporate visits to some of these windmills. 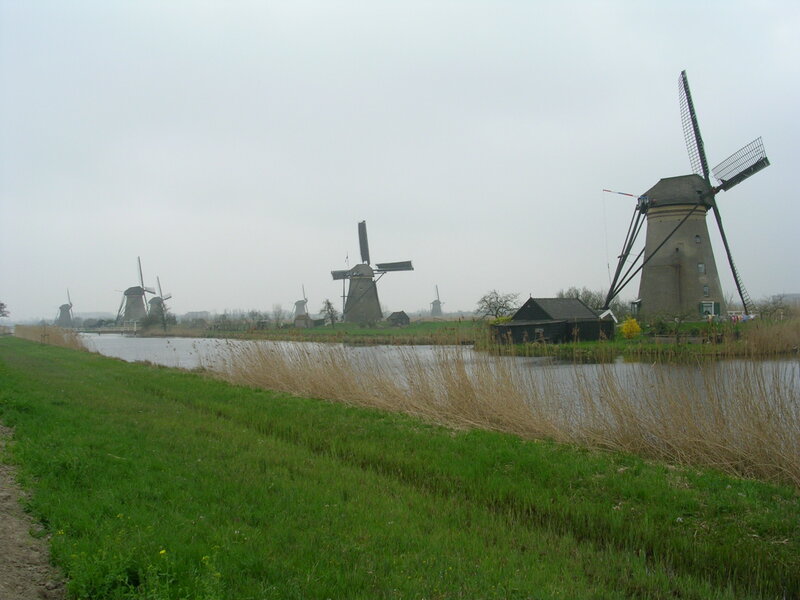 Holland is famous for its windmills, which here were used to pump water back to the sea to prevent flooding of the low land. The Kinderdijk Windmills have been given World Heritage Site status in an effort to preserve them for future generations. 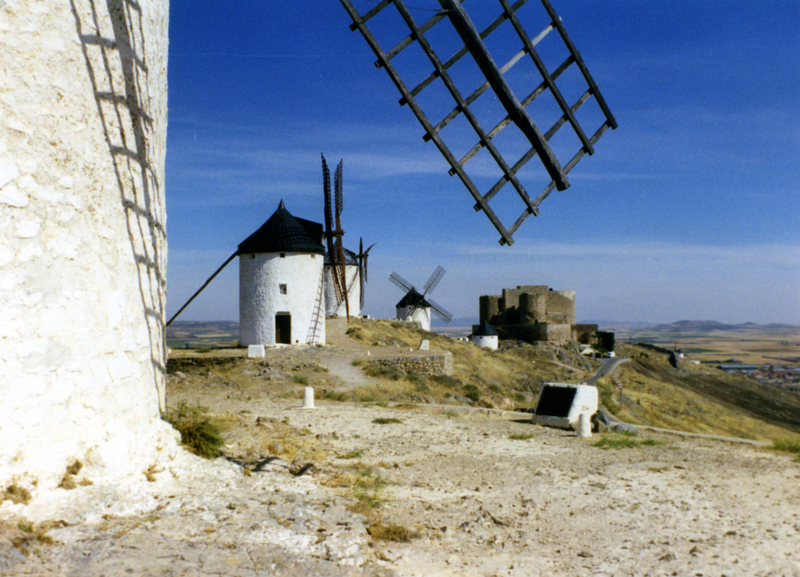 Of course, the windmills suggested in the title of this post are in Spain, in an area known as La Mancha. The pictures are from above the village of Consuegra, on a ridge overlooking a vast plain, the perfect spot for a series of windmills. 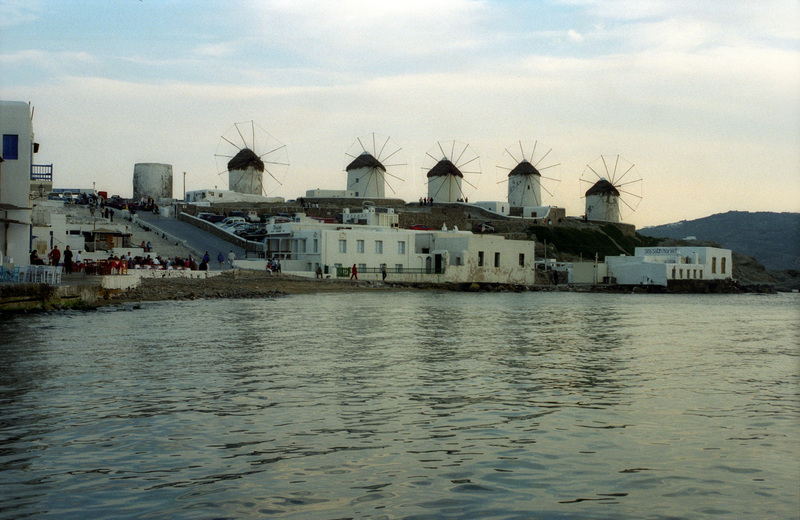 Another series of windmills overlooks the harbor of Mykonos, one of the most popular of the Greek Isles in the Aegean Sea.